Every new kitchen or bathroom starts with a little inspiration. Visit our gallery to see recent photos and get ideas for your dream kitchen or bathroom. You’ve been dreaming of a new kitchen or bathroom. We’ll help you turn that dream into a reality. 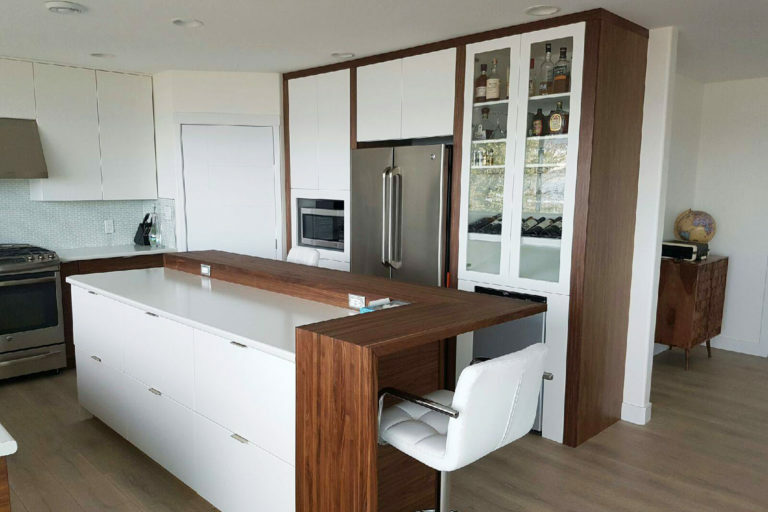 For more than three decades, the skilled craftsmen at Vanway Kitchen + Bath have produced beautiful wood cabinets and polished stone countertops. Whether you’re searching for the latest trends or a timeless vintage feel, we can help you design the perfect kitchen or bath for your lifestyle. Start your journey by learning more about what styles you love and what features you need. After that, stop by our showroom in Prince George, BC to see samples of cabinets and countertops. Ask us for a quick quote for your project – you’ll be pleasantly surprised at how affordable luxury can be. View our gallery to see what Vanway Kitchen + Bath can do for you. A new project always starts with inspiration. Discover your design style, learn about the materials used in construction, and find out what layouts best suit your home. For more than 35 years, we’ve built premium quality cabinets for new and custom homes in Prince George, BC. Stop by our newly renovated showroom at 1699 Ogilvie St South in Prince George, BC and talk with one of our experienced kitchen designers. For the past 10 years, they've created award-winning designs in Prince George's most beautiful homes.